St-Laurent river with lots of ice and steam in a very cold winter morning at dawn (or dusk). With the flame and smoke of an oil refinery chimney in background. 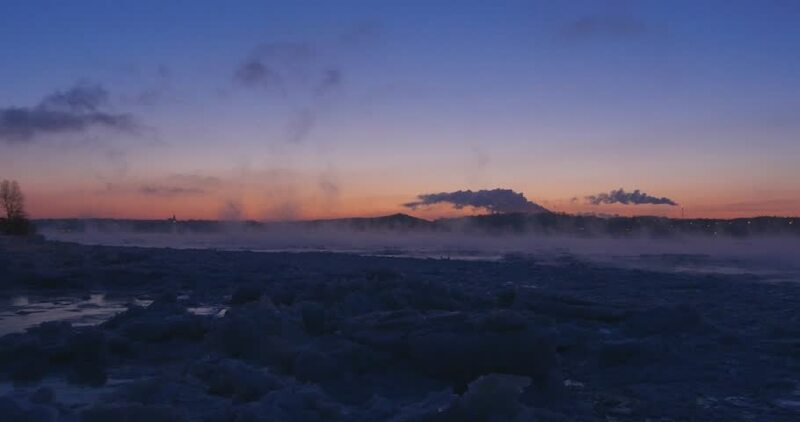 4k00:30St-Lawrence river with a lot of ice and fog on its surface in a very cold winter morning dawn.Flame of a refinery chimney in background.